First Class Chauffeur Service PROFESSIONAL : TRAINED : SECURE RCS of London Chauffeurs have an Advanced Driving License issued by Rospa and are trained to a similar standard to that of the police. Our fleet of Mercedes S class "Limousine” format are recognised as a leading luxury passenger car around the world. In addition, we offer the Range Rover LWB Autobiography, Mercedes Viano V Class (mpv) which can carry up to seven passengers depending on luggage, together with Mercedes Sprinter mini coaches for 16 passengers. We would welcome the opportunity to discuss ways in which RCS of London can add value and safety by working with your organisation, together with its security advisors in arranging safe and timely travel. 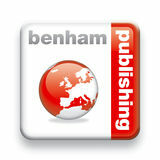 Disclaimer Benham Publishing or Arab-British Chamber of Commerce cannot be held responsible for any inaccuracies that may occur, individual products or services advertised or late entries. No part of this publication may be reproduced or scanned without prior written permission of the publishers and Arab-British Chamber of Commerce. ANNOUNCING THE RELAUNCH OF ECONOMIC FOCUS Our quarterly magazine, Economic Focus, will shortly be relaunching in partnership with our new publisher, Benham Publishing. The magazine will include all the usual features and opportunities for members to contribute. Our publishers will be making contacts with members over the course of coming weeks to introduce themselves and to discuss how you can take advantage of the marketing potential of the magazine. Association; and a Member of the Saudi Arabian legal accountants. Mr Reda’s undoubted experience and abilities is clearly demonstrated in his extensive career of service in both public and private sectors. His welcome appointment will enable him to make a vital contribution to the improvement of the Chamber’s activities and enhance its influence as the leading strategic business services organisation in the UK working to strengthen bilateral trade. ACTIONCOACH Khalil Arouni has worked with global brands, regional companies and SMEs, handling their media budget where he established a long-term relationship, ensuring their investment was measured and delivered the expected return on investment. Clients include McDonald’s, SABIC, General Motors, the British Council, Hayat Kimya and AJVA Ford. Khalil is passionate about his clients’ success and long-term sustainability. Proactive in his nature, he will start by understanding your business goals and objectives and then work with you to craft a plan to deliver the aimed results. Testing and measuring are crucial in his formula for success. After graduating with an MBA in Project Management, Khalil worked overseas for 26 years where he acquired a wealth of experience in market research, business growth, marketing, media planning and management. Khalil's Approach Khalil will understand your goals and by working with you, put into action a plan on how to achieve it, in a simple, systematic, measured and effective manner. predict, but the converse side of this is that valuable opportunities – both commercial and personal – may be missed. We invite you to ask the experts on what to do at a debate given by partners of Withers LLP. Careful planning can provide protection to a wide range of personal and commercial issues, and the team from Withers will share their thoughts on mitigating risk in areas such as investment, migration, marriage and divorce alongside trust and tax planning. Following the debate, our experts will be on hand to talk to you about specific questions you may have. was the third largest economy in the Middle East after Saudi Arabia and Turkey. Citizens from over 200 nations had made the UAE their home, including 120 thousand Britons, which reflected its diverse and tolerant culture. Turning to address relations with the UK, the UAE Ambassador stressed the importance of bilateral trade and, with a nod to the Brexit negotiations, he mentioned that the UK would remain a trusted and valued partner whether the UK was inside or outside the European Union. A detailed presentation was then delivered by Mr Youssef Hassane, Chief Economic Advisor at the UAE Embassy, who began by referring to the UAE’s strong economic fundamentals. Its growth outlook was expected to strengthen with increased inflows of investment and increased private sector activity: for example, non-oil growth was forecast to reach 3.9% in 2019 rising to 4.2% in 2020. The UAE enjoyed high rankings for its economic competitiveness and efficiency. In terms of bilateral relations, UK-UAE ties were expanding across a broad spectrum of economic, strategic and cultural activities. A trade value target of £25 billion had been adopted by the two governments to be reached by 2020. Elaborating on the strengths of bilateral relations, Mr Hassane stated that 6,000 UK firms were now located in the UAE and, in addition, each year the UAE attracted over 1.2 million British visitors. The UAE was also a major investor in the UK economy and there was particular involvement in UK infrastructure, clean energy, healthcare, real estate, hospitality, innovation and transport. He urged UK investors to look to the opportunities in the seven strategic priority sectors identified by the UAE as those that would offer the greatest potential for development: namely, renewable energy, transport, healthcare, education, water, technology and space. The UAE had an innovative economy and was particularly proud of the growing achievements of its space industry, he said. It had also become a knowledge centre in the region for artificial intelligence. market attractive to investors such as its excellent infrastructure, the new 10-year visa option for investors and the possibility of 100% ownership. Mr Hassane urged UK companies to look to taking part in the Dubai Expo 2020 which was expected to attract 25 million visitors. H E Mr Sulaiman Al Mazroui concluded by warmly thanking the ABCC for organising the event and for its ongoing work in promoting closer UAE-UK relations. Questions raised by delegates during the discussion ranged over the need for more clarity on VAT, the use of the English language and education in English, the possibility of a UK-GCC free trade deal after Brexit, the impact of UK tax changes on UAE investors, the UAE’s ambitious plans for Smart Cities, and opportunities in the UAE financial services industry with the growth of Islamic finance and fintech. Finally, at the conclusion of the roundtable, the attentions of the business community were directed to the ABCC’s Arab-British Economic Summit 2019, to be held on 3rd July, as this would enable further and more detailed discussions on the key topics that concerned business. MEMBERS NETWORKING EVENT A networking event for businesses was held at the Chamber on Wednesday 6th March. It attracted upwards of 100 attendees comprising ABCC members and non-member companies along with diplomats and others with an interest in pursuing the business advantages of Arab-British collaboration. business immigration cases, as well as notary services, legal advice on contracts, recruitment and we able to help companies to set up and source global talent, among other matters. serving Middle East clients who are attracted by the stable financial jurisdiction of Jersey which offers a recognised safe harbour for wealth protection. Taylor Howes Designs is an exclusive interior designer, architect and luxury furniture business that forms part of the Taylor Howes Group. It has worked on about 1,000 high prestige projects for clients located around the world including the Gulf in places such as Kuwait and Dubai. The company held a successful inaugural Business Design Summit in London last year. The National Philanthropic Trust UK is a registered charity that gives advice to donors on managing funds. Working with today’s philanthropists, wealthy families and private banks, the trust manages $7 billion in charitable funds and has a network of links with a global group of charities. Finally, Health Matters (UK) Limited is a healthcare broker that gives advice on health cover, medical insurance, group risk plans and dental care packages to embassies, wealthy individuals and companies with employees coming to work in the UK. It has around 700 corporate clients. Speakers answered the audience’s questions that ranged widely over current projects, the potential for advantageous collaboration and the growing opportunities in the Arab markets. Mr El-Idrissi closed the formal part of the programme by flagging up the Chamber’s forthcoming events including the Arab British Economic Summit, due to be taking place on 3rd July which he encouraged everyone to attend. Discussions continued during the reception that concluded the event. The Chamber was pleased to welcome H E Mr Omar Al Nahar, the Ambassador of the Hashemite Kingdom of Jordan in London. We were also delighted to be joined at the event by H E Mr Tarek Adel, the Egyptian Ambassador and H E Mr Mohamed Elkoni, the Libyan Chargé d’Affaires. In welcoming remarks, Mr Bandar Reda, ABCC Secretary General & CEO, stressed the important opportunities in the Jordanian market for British business. He also explained why companies should join the Chamber to take advantage of its services. ABCC Chairman, Rt Hon Baroness Symons, welcomed Mr Reda’s appointment and wished him all success in his position. She described Jordan as a remarkable country at the heart of the Arab world and praised the generosity of its people. She mentioned that H M the King of Jordan had been in London recently for the major international conference held to attract investment in the country. H E Mr Omar Al Nahar, Jordanian Ambassador (right), Rt Hon Baroness Symons and Mr Bandar Reda. H E Mr Tarek Adel, Egyptian Ambassador, Mr Mohamed Elkoni, Libyan Chargé d’Affaires and Mr Abdeslam El-Idrissi. OPPORTUNITIES IN JORDAN The ABCC hosted a business event on Opportunities in Jordan at its premises on 13 March 2019. A promotional film that summarised the key attractions of Jordan as a logistics hub and centre for tech industries was screened before the formal presentations. The Ambassador, H E Mr Omar Al Nahar, told the audience of business people and investors that Jordan was working towards achieving financial self-reliance and economic sustainability which would be based on the resilience and innovation of its people. The London Initiative conference that was held in February had unveiled a plan for growth for which Jordan had received pledges of support from the international community. H E the Ambassador outlined the main assets of the country such as its skilled and educated population, and its strategic location that offered access to markets of over a billion people as a result of the free trade agreements that Jordan had successfully concluded. This had made Jordan advantageous to exporters. Mr Wedad Kurugky, Export Finance Manager, UK Export Finance, explained the funding that his agency was able to offer to companies to help them secure exports and win contracts overseas. He stated that UKEF, which was marking its centenary this year, had access to a budget of £50 billion but this was not fully utilised. He stressed that support was available to SMEs and not exclusively to large corporates. In fact, 75% of firms receiving UKEF support could be described as SMEs. Dr Neil Quilliam, Associate Fellow MENA Programme, Chatham House, spoke jointly with Dr Sue Griffiths, Executive Director, Global Partners Governance, about a research project they had been undertaking into the Jordanian market which was designed to facilitate greater engagement with the UK. Dr Griffiths stressed that the research was focusing on Jordan’s own priorities for growth and development. Dr Quilliam described some of the findings of the research by highlighting the opportunities in some key sectors which he hoped UK business would not miss out on. The four main sectors he highlighted were healthcare, agriculture, tourism and electrical machinery. From left: Mr Wedad Kurugky, Mr Andrew Holland, Mr Jun-Dai Bates-Kobashigawa, Dr Sue Griffiths, Dr Neil Quilliam, and H E Mr Omar Al Nahar. Jordanian government and the country was experiencing a turnaround. He flagged up the pipeline projects available to investors that could be accessed online. In total, there were 123 projects identified 10 of which were to be tendered this year. He stated that a key message was that while UK and Jordan enjoyed excellent relations at the governmental level, much needed to be done to strengthen relations in the economic sphere and UK firms should expand their presence. Mr Ghanma confirmed that the growth sectors that investors should be looking at were IT, education, renewable energy and healthcare. Investors would be encouraged by the determination to simplify the country’s regulatory framework to make it easier to do business. Mr Andrew Holland, Research & Development Director, IrisGuard UK, delivered a case study of a UK SME that was working successfully in Jordan. He said that UK firms would be attracted by the highly educated labour, the stability of the market, the widespread use of English and the long history of friendly UK-Jordan relations. Finally, Mr Jun-Dai Bates-Kobashigawa, Senior Director, technology, Expedia, shared his own experiences of the technology sector in the country by describing how his company had successfully established a partnership with Jordan that recruited IT trained personnel. Discussion covered a range of issues such as higher education, cooperation between public and private sectors, available assistance for entrepreneurs and the integration of refugees into the labour market. Mr Bandar Reda, ABCC CEO & Secretary General, H E Mr Tarek Adel, Egyptian Ambassador, and Rt Hon Baroness Symons, ABCC Chairman. Iman El Sherif, EBCC Secretary General, Mr Abdeslam El-Idrissi, ABCC Deputy CEO & Secretary General, Mr Ian Gray OBE, EBCC Chairman, and H E Mr Ibrahim Mohielden, Head of Mission, League of Arab States. OPPORTUNITIES IN EGYPT A successful business seminar on Opportunities in Egypt was hosted by the ABCC on the morning of 14 March. Organised in cooperation with the Embassy of Egypt in London and the Egyptian-British Chamber of Commerce (EBCC), the event attracted business executives and investors from a wide array of industries. The ABCC also partnered with UK Export Finance, the UK governmentâ&#x20AC;&#x2122;s export credits agency, in the preparation of the event. In his welcoming remarks, CEO & Secretary General, Mr Bandar Reda, described Egypt as a unique market that acts as a bridge between Europe, Africa and the Middle East. He urged delegates to visit to ABCCâ&#x20AC;&#x2122;s website and sign up to attend the Arab British Economic Summit that the Chamber is planning to hold on 3rd July. The ABCC was honoured with the participation of H E Mr Tarek Adel, Egyptian Ambassador to the UK, and by the presence of H E Mr Ibrahim F Mohieldeen, the Ambassador for the League of Arab States in London. Mr Ian Gray, OBE, EBCC Chairman, chaired the discussion in the absence of the Rt Hon Baroness Symons. Delivering an overview of the market, Mr Gray stated the purpose of the event which was to promote closer UKEgyptian business collaboration. H E Mr Tarek Adel, the Ambassador, stated that relations between the UK and Egypt were developing rapidly as reflected in the numerous trade missions and high level delegations that have taken place since he assumed his post only a few months ago. The Ambassador mentioned delegations regarding education, investment and finance including the London Stock Exchange building contacts with the Egyptian Exchange and Prime Minister Theresa May’s attendance of the ArabEuropean summit in Sharm El Sheikh. Both sides wished the forge new trade relations, the Ambassador stated, describing Egypt as one of the most promising emerging economies in the world. He stated that Egypt’s economic reforms were beginning the bear fruit illustrated by the fact that growth was rising, exports to the UK were on the increase and the number of British tourists was on the increase. The UK was already the largest foreign investor in the country, but this was mainly confined to the oil and gas sector. The new opportunities were emerging as a result of the major projects that Egypt had embarked upon, such as the Suez Economic Zone, the new administrative capital in Cairo and the Golden Triangle mining development. great enthusiast for Egypt. The country’s regional significance was increasing, making it an important base for UK firms looking to do business in Africa, the Middle East and the southern Mediterranean. Sir Jeffrey mentioned skills based education, construction and transport as some of the key areas where UK investors should look to play a role. Healthcare offered the opportunity for strategic partnerships while the mining sector was opening up to foreign investors. Egypt’s reforms were making it easier to invest and do business in the market, he observed. Mr Matthew Shires, Managing Director, Eurofinsa UK ltd, provided a case story of a success story of a UK-based company operating in the Egyptian market. Eurofinsa, with a record in the execution of civil projects and turnkey Engineering Procurement and Construction (EPC) projects, was beginning a new hospital construction project in Egypt. The presentations were followed by questions from the audience on issues such as taxation, visa costs, support for SMEs and opportunities in other areas such as the food industry. The event concluded with a reception. Ian Gray delivered a detailed overview of the market during which he identified opportunities for UK firms in infrastructure, education, healthcare and export oriented manufacturing. Egypt’s extensive transport plans in development of roads, rail, dry ports and metro offered business many opportunities. Healthcare ambitions offered opportunities not only for construction firms and project management, but also suppliers of pharmaceuticals and technical training for medical staff. Specialist technology relating to health was also important. Mr Bandar Reda addressing the audience. H E Mr Hamish Cowell, British Ambassador to Oman (centre) with Mr Irteza Piracha, CEO, Berkeley Engineering Consultants (right) and Mr Abdulsattar Al Murshidi, Berkeley’s local partner in Oman. BERKELEY ENGINEERING CONSULTANTS OPENS OFFICE IN MUSCAT ABCC member, Berkeley Engineering Consultants (BEC), has opened an office in Ghala, Oman. The opening event was attended by H E Hamish Cowell, the UK’s Ambassador to the Sultanate and high-level dignitaries from Oman. Berkeley Engineering Consultants is a UK-based company specialising in the oil and gas and infrastructure sectors. It has been in the Middle East for ten years primarily in Saudi Arabia with its main clients being Saudi Aramco. Now, it is looking to capture the Omani market. Ambassador H E Cowell commended the efforts of the company. “I am also very clear that companies investing in Oman isn’t just about bricks and mortar or physical infrastructure. It’s about creating employment opportunities for Omanis, investing in training and knowledge transfer, and ensuring that supply chains comprise goods and services procured from local businesses.” The Ambassador added, “All of these are things, which matter deeply to BEC and its approach to recruiting the local workforce, and its commitment to in-country value (for which it already has a clear plan) are both extremely commendable and could easily be used elsewhere as model examples.” Thanks to Berkeley Engineering Consultants for drawing this news to our attention. MEDINA PUBLISHING CELEBRATES 10 YEARS From the Isle of Wight to Saudi Arabia, independent publisher seeks to educate and entertain. March marks the 10th Anniversary of ABCC member Medina Publishing Ltd, founded in 2009 with the mission to ‘educate, entertain, and to foster cultural understanding.’ Medina Publishing titles cover topics as diverse as biography, memoirs, cli-fi, horses, falconry, photography, travel and history. “It has been an eventful journey for Medina, and from small offices in Greater London we have now expanded our presence to the Isle of Wight, Saudi Arabia and the United Arab Emirates,” says founder and commissioning editor Peter Harrigan. Recent Medina titles include ‘People of Ras Al Khaimah’ supported by the Ras Al Khaimah Media Office and ‘A Solider in Arabia’ by David Neild supported by the Sheikh Saud bin Saqr Al Qasimi Foundation for Policy Research. Arabic editions of both books are planned. Medina Publishing has also produced new books in Arabic, English, French and Spanish editions for the Riyadh Development Authority. ‘Discovering the United Arab Emirates’ is aimed at young readers and is acclaimed by UAE-based author and historian Peter Hellyer as “essential reading for anyone seeking to understand the Emirates”. ‘The Pearl Diver’ by award-winning author Julia Johnson is a Hamilton Trust recommended resource on ‘Stories from Other Cultures’ and remains a popular title. Medina Publishing authors continue to be active by presenting their work around the world. “Their remarkable knowledge, achievements and experience across a remarkable range of subjects is extraordinary and they continue to help propel the company,” acknowledges Harrigan. Harriet Sandys has just returned from the Lahore Literary Festival where she spoke about her Silk Road Journey and her book ‘Beyond That Last Blue Mountain.' Harriet travelled to Afghanistan in her 20s and spent the next 15 years in the region. Her book has been praised by Lyse Doucet, BBC Chief International Correspondent, as “An extraordinary journey by an extraordinary woman, beautifully told and bravely lived; storytelling at its best.” Stuart Laing, former Ambassador in Muscat and Kuwait, former Master of Corpus Christi College and current Chair of the Anglo Omani Society, continues to present internationally on the remarkable subject of his book ‘Tippu Tip: Ivory, Slavery and Discovery in the Scramble for Africa.’ Sir Terence Clark, Chairman of the Friends of the Basrah Museum is author of ‘The Salukis in My Life: from the Arab World to China’. He delights international lovers of Salukis with his tales of these ‘Companions of Kings’ while providing a personal insight to life in Iraq while ambassador there between 1985 and 1989.
including H E Dr Khalifa Al Romaithi, Chairman of the UAE Space Agency and by H E Dr Mohammed Nasser Al Ahbabi, its Director General, who met senior officials from the UK Space Agency. The MoU covers collaboration in space science, technology, applications, policy, law, regulation and human capital development in the space field and related areas. The MoU also covers educational activities in space science and technology as well as the promotion of the use of products and services developed under the two agencies programmes. Source: Arabian Aerospace Arab Space Cooperation Group The UAE has launched a regional space collaboration programme that aims to empower the Arab world in the global space industry. The ‘Arab Space Cooperation Group’ includes partnership with 10 other Arab countries, namely Saudi Arabia, Bahrain, Oman, Egypt, Algeria, Morocco, Jordan, Lebanon, Sudan and Kuwait. 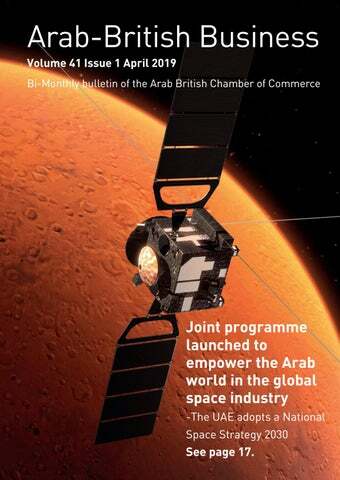 The programme will involve exchange of knowledge and joint projects, ultimately boosting the Arab space industry. H H Sheikh Mohammed bin Rashid Al Maktoum launched the group during the inaugural day of the Global Space Congress, Abu Dhabi, 19-21 March. 813 - satellite built by Arab scientists in the UAE “The group’s first project will be a satellite built by Arab scientists in the UAE. I personally believe in Arab talents,” Sheikh Mohammed tweeted. “We called the new satellite “813” in reference to the date that marked the beginning of prosperity for the House of Wisdom in Baghdad under the reign of Al Ma’mun. Resembling our region, the House embraced scientists, translated notable texts and produced scientific capabilities,” Sheikh Mohammed said. NAVIGATING THE NEW RETAIL REALITY Views of Middle Eastern Retail CEOs surveyed in new PwC report. Change is the one constant for retail CEOs in the Middle East. Like retail leaders across the world, they must keep pace with new technology that is changing the way people consume products and services. But in the region, the changes go far beyond the disruption of online retailing: consumers are more price sensitive, they are less brand loyal and economies are reforming. Despite the breadth of their experience and the products they sell, the retail CEOs interviewed by PwC for the survey all identified very similar concerns: first, how to develop the agility to respond quickly to market changes and new customer demands; second, how to attract and retain talent; and third, how to keep up with the pace of advances in digital technology, all against the backdrop of macro stability in the region. Almost all of the retail CEOs we spoke to have experienced a softer market in recent times and most said they were targeting low single-digit growth this year, at best. While this would be considered very acceptable in mature markets, it’s a far cry from the region’s double-digit growth of years gone by. The report sets out the views of retail CEOs across three broad categories: technology, changing consumer behaviour and macro influences. Notable growth areas in the Middle East, according to the retail CEOs surveyed, include expansion in the beauty sector, driven by the era of the social-media influencer, ‘ath-leisure’ (wearing workout clothes outside the gym) and healthy eating, spurred by millennial interest in wellness. Another trend having an impact is Black Friday discounting. The November sales event, which began in the US, is becoming more and more popular with Middle East consumers. Key issues retail CEOs identified around technological change, highlighted in the report: • Challenges around the lack of digital talent in the market, including recruitment of people with data analytics and artificial intelligence skills. This is part of a broader issue in the region with more than a quarter of Middle Eastern CEOs across all sectors believe hiring outside of their industry is a potential solution to address the skills gap. • Delivery and logistics continue to be a challenge for some retailers. While service is improving, change is happening slowly. Same-day delivery is no longer something that can be ignored as some retailers are delivering orders purchased online within 2-4 hours. We are also seeing some retailers investing in local logistics firms to improve their customer journey and create a competitive advantage. • Retailers urgently need to pursue technological solutions to allow consumers quick and easy return options for unwanted goods bought online. • Managing stock and the volume of products to buy is a challenge when an excess of supply is available online. • Online copycats: replica items or designs are being sold online for a fraction of the price, creating price wars and undermining quality. • Customers seeking greater value are opting to use delivery platforms such as Aramex’s ‘shop and ship’ to purchase the same item outside of the Middle East more cheaply. • Keeping pace with changing demands: mobile access to online information such as new product offerings, product reviews and price comparison sites continue to influence customers’ buying decisions and retailers need to be on their toes, monitoring these trends to stay relevant. KUWAIT FLOATS 125 DEVELOPMENT PROJECTS ON TENDER Kuwait’s public works ministry has announced that it has put out to tender some 125 development projects across the country, as part of its plan for the fiscal year 2019/2020. Egaila, in addition to a sprawling children’s hospital as other major projects planned, along with a volunteer centre in a country known for its philanthropy. Among the projects is the construction of aircraft parking stands and transport corridors for Kuwait International Airport’s new Terminal 2, the ministry’s official spokesperson Iman Al-Omar said in a statement. Grouping the projects into different categories, she revealed that 23 belong to the healthcare engineering sectors, while 51 are classified as maintenance engineering projects, in addition to renovation deals including road repair. UAE PLANS $163 BILLION SPEND ON SUSTAINABLE ENERGY The UAE will invest Dh600 billion ($163bn) until 2050 to meet growing energy demand and ensure sustainable economic growth, said the Dubai Electricity and Water Authority (Dewa) in a new report. The UAE Energy Strategy 2050 aims to achieve an energy mix that combines renewable and clean energy sources to balance economic requirements and environmental goals. The Dubai Clean Energy Strategy 2050, which was launched by Sheikh Mohammed bin Rashid Al Maktoum, Vice President and Prime Minister of the UAE and Ruler of Dubai, aims to provide seven per cent of Dubai’s total power output from clean energy by 2020; a target that will increase to 25% by 2030 and 75% by 2050. Dubai is the only city in the region to have launched such a strategy, with set goals and timelines that map the future of energy until 2050. GULF COUNTRIES SAID TO HAVE $1.1TRN ACTIVE INFRASTRUCTURE PROJECTS Road development projects continue to be among the largest infrastructure investments across the GCC region and remains a top priority for governments, according to new research. A report released by Orient Planet Research highlighted the massive investments in road, tunnels and bridges across the GCC amid oil prices fluctuation in recent years. The report said that total value of active infrastructure projects in the GCC has reached $1.14 trillion with roads, highways and bridges among the highest number of projects. It further noted that there was a total of 1,069 road projects in the region, the highest number among all infrastructure projects, with a combined value of $122.6bn. The report highlighted some of the major projects across the region such as Dubai’s allocation of AED15 billion ($4.8bn) to complete key projects to serve the upcoming Expo 2020, including the upgrade of roads, ramps and flyovers. In Saudi Arabia, over $400m is invested in nine major road projects including the King Hamad Causeway while in Kuwait, the government is set to implement the construction of the Seventh Ring Road Project, a 93-km road network development. Occupying the largest pavilion at the Honey Market, this was the second year Ithraa has organized an Omani pavilion at the show, bringing on board double the number of Omani firms that participated in 2018. Other projects include the Saudi-Oman Highway, a 680km road which links Oman and Saudi Arabia and the MafraqGhuwaifat International Highway, a $5.3bn project that links Abu Dhabi to the Saudi border. A university is looking for partners to provide curriculum development on Respiratory Therapy. A government owned enterprise has issued a tender for healthcare facilities management and maintenance services. A university is looking for a UK partner to provide digital health courses. A leading business house is looking for facilities and energy management companies to represent or partner with. In December last year key industry figures gathered to discuss the challenges and opportunities facing organic farming at a conference in Rabat hosted by the Organic Entrepreneurs Association (Club des Entreprenurs Bio, CEBio), a branch of the General Confederation of Moroccan Enterprises. Morocco is working to raise the profile of its organic farming industry both at home and abroad on the back of rising demand, with officials targeting the sector as a way of expanding value-added agricultural earnings. The conference, which covered topics such as the organisation and regulation of the segment, marked the launch of a wider national campaign to increase awareness of organic agriculture. Speaking at the event, Slim Kabbaj, the CEO of CEBio, emphasised the importance of encouraging new companies to enter the market, establishing investment funds and educating consumers on the benefits of purchasing organic produce. As part of this campaign, CEBio will hold the country’s first-ever organic products expo in Casablanca in June. The fair will cover a range of produce, including food and food supplements, cosmetics, aromatic and floral derivatives, ecological products and textiles. Market expands on increased domestic demand Although there is significant demand for organic products outside Morocco, with a strong and well-established export market in Europe, the segment is starting to gain traction among domestic consumers. To meet this growing demand, the country’s first organic food and produce franchise was launched in September last year. Green Village initially opened three outlets in Casablanca and Rabat, with a fourth opened in Marrakech in mid-January. Although only 35% of the 4000 products stocked are domestically sourced, the company aims to increase this to 50% by 2023. It is currently working with more than 45 local organic producers to source tea, coffee, spices, flour, food supplements and cosmetics, and expects to add more products and suppliers in the future. The expanding domestic demand will help support the growth of the organic products market and encourage further investment in the segment, according to Anouar Alasri, director-general of global organic fertiliser firm Eléphant Vert. “There is a growing interest among consumers for organic products in Morocco, following the positive trend in Europe,” Alasri told OBG. “In addition, retailers are now choosing to use local producers rather than relying solely on imports.” Producers look to maintain economic viability The growing interest in local organic producers could help overcome one of the major challenges faced by the segment: increasing output and utilising new technologies to maintain economic viability. While returns on organic products can be considerably higher than conventionally grown products, production costs and potential losses incurred by not using chemical pest control can eat into profits. As a result, a top goal for companies such as Eléphant Vert, which produces bio-fertiliser and bio-pesticide at two facilities in Morocco, is reducing production costs to make organic agriculture more sustainable and closer in price to mainstream farming. Organic farming central to Green Morocco Plan Raising the profile of organic farming is also an important objective of the Green Morocco Plan (Plan Maroc Vert, PMV), the government’s 12-year agricultural development strategy launched in 2008. The strategy aims to diversify the sector to reduce its dependence on cereal production, which currently accounts for around 75% of all land under cultivation while only generating 15% of the revenue. In order to achieve this goal, the plan has targeted a number of segments within the agriculture sector; however, organic produce has been identified as a particular focus due to the projected increase in output and revenue. In 2010 the total area under cultivation for organic produce was 380 ha, but this has increased to 8000 ha in 2019. While this shows considerable progress, there is still much to be done to reach the PMV’s goal of 40,000 ha under plantation. remains to be seen how the MCI will apply these provisions of the New Law; and • the New Law provides for a maximum of 50 LLC shareholders, an increase from the maximum of 40 shareholders under the Old Law, which is particularly relevant for an LLC which has multiple individual shareholders who have a large number of legal heirs under Sharia law. • the New Law provides for a "sole proprietorship" as a registrable legal entity for an Omani individual. The New Law provides for the Minister of Commerce and Industry and the Chairman of the Capital Market Authority to issue accompanying regulations within one year of the New Law coming into force. We will be reviewing the New Law in more detail and we will consult with the MCI for guidance on some ambiguities we have already identified over the coming weeks. We will circulate further updates as appropriate. Mr Bander Reda, ABCC Secretary General & CEO (centre), Mr Majed Garoub, President, Development & International Affairs, IASL, (right) and Mr Abdeslam El-Idrissi, ABCC Deputy Secretary General & CEO. ABCC HOLDS MEETING ON THE SPORTS AND MEDIA SECTORS IN SAUDI ARABIA Discussions explore potential for private sector cooperation. The ABCC hosted a roundtable meeting on the development of the sports, media and entertainment sectors in the Kingdom of Saudi Arabia, and benefiting from the experiences of developed countries in this regard. The meeting discussed the impact of the media and technological progress on the sports and leisure industries; investment in sports; the management of clubs, federations and sports cities; and the social responsibility of sports businesses. Discussions touched on partnership between the public and private sectors in sports and entertainment. Participants concluded that relevant government institutions should focus on developing necessary legislation, creating markets and job opportunities, and strategic planning for the medium and long terms. They also noted the importance of supporting the private sector, especially small and medium enterprises, to work and invest in the sports, culture, hospitality and media sectors due to their great impact on development, creating jobs and supporting the economy. Participants praised the Saudi Vision 2030 reform plan, driven by Crown Prince Mohammed bin Salman, which aims to diversify and develop the Kingdom’s economy at all levels, including increasing the number of tourists. The hosting of continental and international sporting events by Saudi Arabia, Bahrain, the UAE, Egypt and Morocco has great economic value, they said. Participants stressed the importance of the human, cultural and legal dimensions of sports and entertainment programmes. CALL & CONTACT CENTRE SERVICES FROM PALESTINE Leading Palestinian company, REACH TELECOM, was in London recently to exhibit at the Call & Contact Centre Expo when it took place at the Excel Centre, London, on 27 and 28 March. This marked the first time that a Palestinian company had participated in the Expo. The company was taking part with the aim of discussing cooperation with UK businesses. Reach, which forms part of the PALTEL Group Company, provides the latest technologies and services in the contact centre domain. Reach offers high quality performance-driven BPO services through multi-communication channels with over 260 seats across two locations in Palestine and is equipped with state-of-art technology, employing over 800 employees. The company operates round-the-clock to serve a diverse mixture of international and regional clients with an average of 45,000 calls served a day. Reach's focused management, multilingual capabilities, ISO 27001 certification, and customer satisfaction, ranked them #1 in the world for "Best Outsourcing Partnership category" at the Contact Centre World Awards in 2011 where they were certified The Gold Medal Winner. More than a contact centre, Reach is a customer engagement specialist with a full range of business services. It is actively working with clients in the following industries: Utilities & Energy, Finance, Retail, Non-profit, Technology, Manufacturing, Government and E-commerce. Reach is the first and largest Palestinian contact centre for outsource telecommunications. Established in 2009, Reach offers the highest quality performance-driven services, through multi-communication channels. Reach uses the Cisco IPCC Technology system, allocated across 260 seats. Its multi-lingual agents are able to receive and make calls around the world, and are experts in a variety of industries. Who it Serves With years of experience and expertise, Reach serves a wide variety of industries, and is actively growing its call centre services. a payment, registering a product, or obtaining product information. Customers will also be able to request real time support or make further inquiries. Through our research and experience, we have found that customers prefer the ease of having a single phone number to handle all of their questions and concerns. Having easy, straightforward customer service helps your company to create and build relationships with customers and encourages repeat customers and brand loyalty. Reach agents are specifically trained on your company's policies and procedures, and well equipped to handle incoming calls, or to direct the call to a specialist if further assistance is needed”. Not sure that this is what you need? Inbound services are often used for the following: • Customer Care • Basic Support level / Full Support level services • Order Processing • Technical Support • Inquiry Line. Outbound Services How can Reach help? Outbound call centre service is the exact opposite of its inbound services. Instead of having agents receiving customer calls, trained Reach agents make outbound calls to your customers. Outbound customer service strengthens your company's relationship with each customer by direct contact, raising the value of your product or service, and providing you with invaluable feedback. There are many other situations in which Reach’s outbound call centre services can work for your business, such as: • Telemarketing Services • Telesales Services • Data Cleaning • Lead Generation • Market Research • Surveys and Feedback. Social Media Management and Monitoring Keep tabs on performance and results: Having an active social media presence is more important now than it ever has been but keeping up with the demands of social media can be time consuming and tedious to say the least. With Reach's social media management and monitoring, our highly trained agents will use dedicated software to resolve issues, engage with users, mitigate risks and complaints, and more, protecting, sustaining, and growing your company's valuable community of loyal followers. Reach Us Email: sales@reach.ps Tel: +970 (2) 2945000 Located at Jerusalem Street, Al-Bireh, Palestine PO Box 4464 https://www.reach.ps/ An interview with Reach will appear in the forthcoming issue of Economic Focus. From a speech as delivered by International Development Secretary, Penny Mordaunt MP. “Jordan is uniquely positioned to take advantage of emerging global trends and become a regional economic dynamo. It is a safe, stable haven, and a gateway to Asia and beyond. UK companies like Jaguar Land Rover have spotted the huge potential of Jordan, as the Chief Executive will tell us later. And Jordan’s burgeoning tech start-up scene is generating international buzz. 75% of the Arabic content on the internet is generated in Jordan, that’s extraordinary. 68% of Jordan’s population are below the age of 30 and full of aspiration. This is an enormous opportunity. A young, educated population with the potential to drive Jordan’s success. These are the engineers who will be part of high-end infrastructure. These are the innovators who will power tech start-ups. These are the young women and men ready to step into the booming professional services sector.” Republished with permission. Now in its ninth year, City Week is the premier gathering of the international financial services community. It brings together industry leaders and policy makers from around the globe to consider together the future of global financial markets and London, in particular. It consists of two days of cuttingedge conferences, workshops, social events and networking opportunities, with other satellite events being held later during the week. To apply for your place, please visit the City Week website at www.cityweekuk.com/2019 and register as an ‘International Delegate’. The Arab British Economic Summit 2019 (ABES 2019) is an ABCC Event taking place on Wednesday 3rd July 2019 at the QEII Centre, London. ABES 2019 will highlight the subjects most relevant to UK and Arab business. The Summit will provide insights into key topics through panel discussions, keynote speakers and by providing opportunities for discussion with other attendees. It will oďŹ&#x20AC;er invaluable opportunities for investors, exporters, experts, consultants and providers of services to engage in dialogue with project leaders and decision makers. ABES 2019 is a must-attend event for British and Arab business leaders, corporate aďŹ&#x20AC;airs and public policy professionals and is an exceptional opportunity to network with people from all sectors. CONTEMPORARY SCULPTURAL FURNITURE & ART Hownam Studio creates contemporary sculptural furniture and art in Scotland, using the worldâ&#x20AC;&#x2122;s rarest materials and finest skills. The launch of the Black Collection will be at the D Contemporary Gallery in Mayfair London from April 30th - 4th May, with a RSVP private viewing being held on the evening of the April 30th. The heritage of our Black collection extends back over millennia and includes some of the last remaining and historically significant pieces of Scottish walnut and ancient yew wood. We also work by commission; our artisans have created work for public, private and royal collections across the globe.